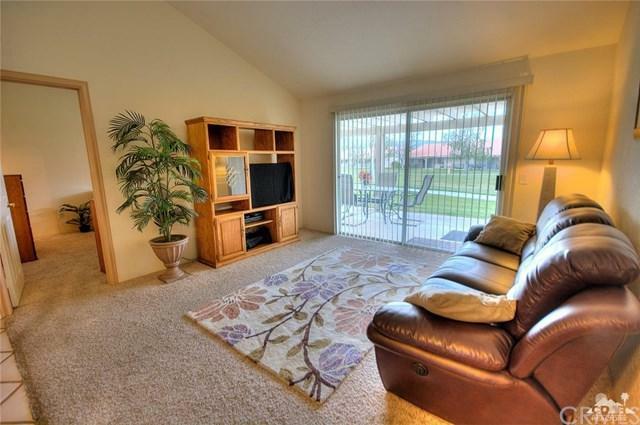 This 3 bedroom 3 full bath attached Condo including attached Casita in quiet, gated North LQ development - La Quinta Palms. The 1280 sq ft property, built in 1987, offered furnished is ideal for many considering its unique layout. Attached Casita offers many options and is must see (Office,Media room,immediate family,in-laws, etc). Covered rear patio opens to beautiful open green area. Property is near the largest common area pool (2 of 8 total) and the only spa and putting green in the complex. La Quinta Palms offers enhanced security as a gated community, has 8 swimming pools, 3 tennis courts, 1 spa and putting green plus it is near two parks, play areas and two city dog parks. Low utility rates provided by IID. 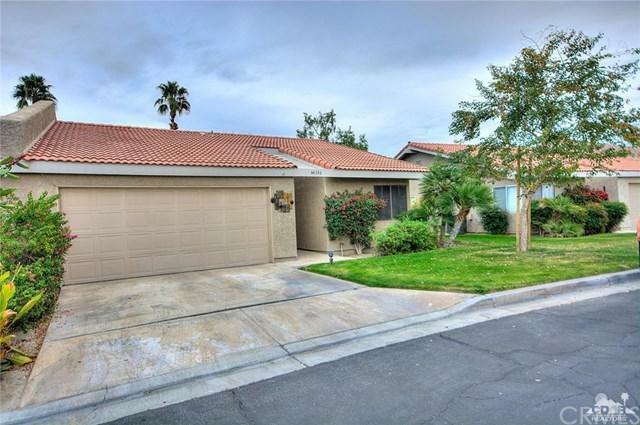 Property is conveniently located near North La Quinta schools that proudly offer International Baccalaureate programs. 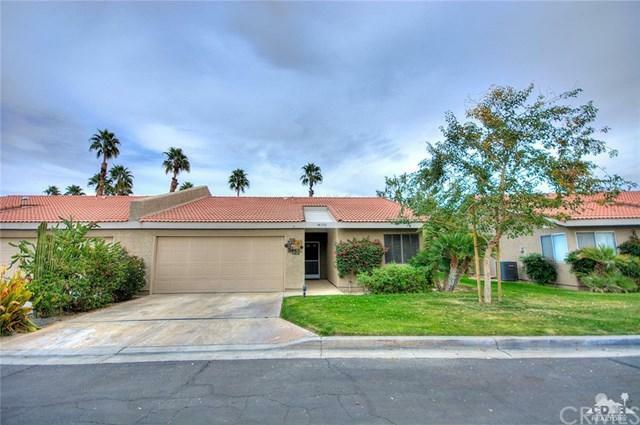 Easy access to all valley areas, close to schools, shopping, dining and venues such as Indian Wells Tennis Garden, Empire Polo grounds and top quality golf. Sold by Dave Marshall of Homesmart Professionals.